Johannes Hans Daniel Jensen was a German nuclear physicist and a joint winner of the Nobel Prize for Physics. This biography provides detailed information about his childhood, life, career, research, achievements and timeline. Johannes Hans Daniel Jensen was a German nuclear physicist and a joint winner of the Nobel Prize for Physics. 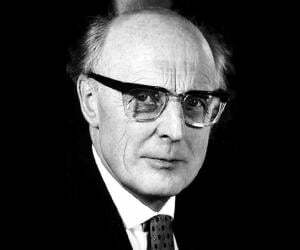 He was a member of the Uranium Club where he worked on the German nuclear energy project dring the World War II. His work on the separation of uranium isotopes is well-acknowledged. 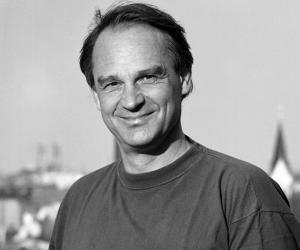 Jensen was a professor at the University of Heidelberg and a visiting professor at the University of Wisconsin–Madison, the Institute for Advanced Study, Indiana University, and the California Institute of Technology. During the rise of Hitler, Jensen joined the National Socialist German University Lecturers League or NSDDB even though membership was not mandatory. He also played an active part as a member of the National Socialist Teachers League for two years. Jensen was a member of National Socialist German Workers Party (NSDP). He was also a member of the Heidelberg Academy of Sciences, a corresponding member of the Max Planck Gesellschaft, and a member of the Sacri Romani Imperii Academia Naturae Coriosorum (Leopoldina, Halle). 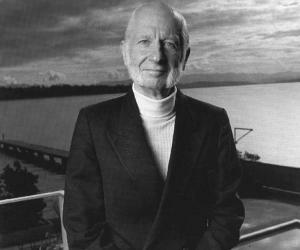 J. Hans D. Jensen was born on 25 June 1907 in Hamburg, Germany. He was the son of a gardener, Karl Jensen and Helene Ohm Jensen. From 1926 to 1931, he studied physics, mathematics, physical chemistry, and philosophy at the Albert-Ludwigs-Universität Freiburg and the University of Hamburg. In 1932, he obtained his doctorate degree under Wilhelm Lenz from the University of Hamburg. In 1936, Jensen completed his Habilitation from the same university. In 1937 Jensen was appointed a Privatdozent (unpaid lecturer) at the University of Hamburg. The same year, he began working with Paul Harteck, director of the university's physical chemistry department and advisor to the HWA, Army Ordnance Office on explosives. In 1939, after the launch of military control over the German nuclear energy project—Uranverein (Uranium Club), Jensen joined the project at the initiative of Harteck who was one of the major figures in the Uranverein. Jensen worked on double centrifuges for separation of uranium isotopes. In 1941 Jensen was named extraordinarius professor of theoretical physics at the the University of Hanover. In 1946 he became an ordinarius professor at the same university. 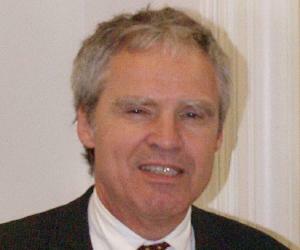 In 1949 he joined as an ordinarius professor at the Ruprecht Karl University of Heidelberg. He later received emeritus praecox status there. The same year, Jensen and Maria Goeppert-Mayer independently presented the shell model for the nucleus of an atom. In 1950, J. Hans D. Jensen co-authored the ‘Über Gaszentrifugen: Anreicherung der Xenon-, Krypton- und der Selen-Isotope nach dem Zentrifugenverfahren’ with Konrad Beyerle, Wilhelm Groth, Paul Harteck. In 1951, he worked as a visiting professor at the University of Wisconsin. In 1952, Jensen worked as a guest professor at the California Institute of Technology and the Institute of Advanced Study, Princeton. In 1953 he was a visiting professor at the Institute for Advanced Study of the University of Indiana and the California Institute of Technology. In 1955, Jensen collaborated with Maria Goeppert-Mayer in writing ‘Elementary Theory of Nuclear Shell Structure’. In 1956, he was a visiting professor at the University of Minnesota. In 1961, Jensen was appointed as a guest lecturer at the University of California at La Jolla. Jensen’s most celebrated work is his theory of the shell nuclear model. He and Maria Goeppert-Mayer proposed this separately in 1949. The shell nuclear model states that an atomic nucleus is a structure of shells with different radii just like layers of onion and each is filled with neutrons and protons. While working on the Nuclear roject, Harteck and Jensen came up with a double centrifuge based on a rocking process (Schaukelverfahren) to make possible the separation effect. In 1947 he received an honorary professorship at the University of Hamburg. In 1963 J. Hans. 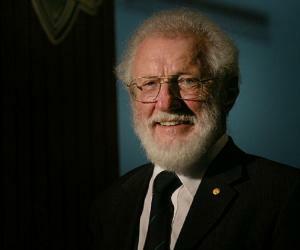 D. Jensen received a Nobel Prize in Physics for his proposal of the shell nuclear model. He shared half of the Prize with Maria Goeppert Mayer and the other half of the prize was awarded to Eugene P. Wigner for some other realm of research. In 1964 he received an honorary doctorate from the Technische Universität Hannover, now the University of Hanover. In 1969 Jensen was offered an honorary citizenship of Fort Lauderdale, Florida. J. Hans D. Jensen died on February 11, 1973 in Heidelberg, Germany. During the denazification process in the post-World war Germany, Werner Heisenberg wrote the Whitewash Certificate or Persilschein explaining that Jensen joined the Uranium Club to avoid facing problems in academia. This cleared all charges against Jensen.